Well people, I fought the good fight and lost. I never thought Blogger would go through with their threat. Until Thursday, I was content in my old Blogger interface. Imagine my shock and dismay when I woke up to a foreign dashboard. I have been forced into the new Blogger interface and I hate it. I have already sent them a scathing feedback. Yes childish and immature, but made me feel oh so much better. This is the first post I am writing with the new, so if there are mistakes, blame it on Blogger. 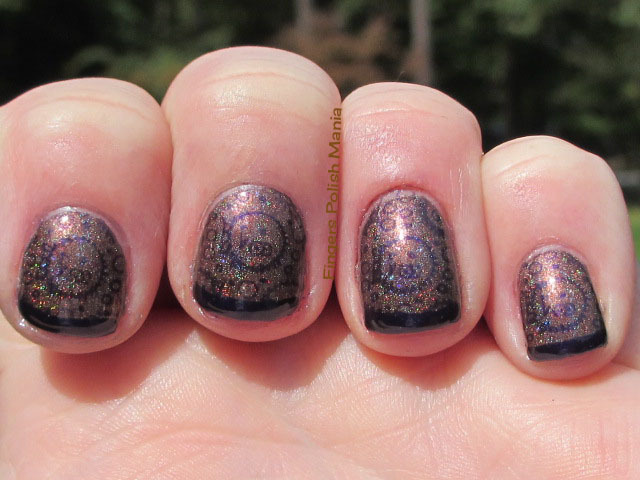 I mentioned last post that I had many new Enchanted Polish to show you. 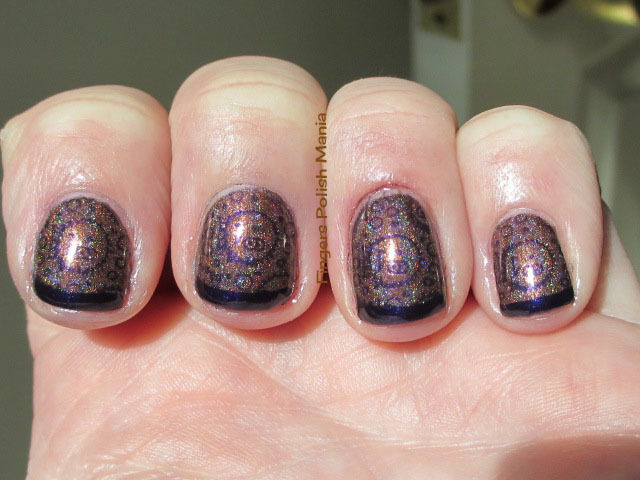 Today we are starting with my favorite, which of course is a brown holo. You had to know that was coming right? My next post will feature my date nails and an update as to how that first date went. Stay tuned for that. This is Enchanted Polish Hot Chocolate and Estee Lauder Bete Noire. You can also see my new set of Cheeky plates that finally came in from China. I started with Hot Chocolate. 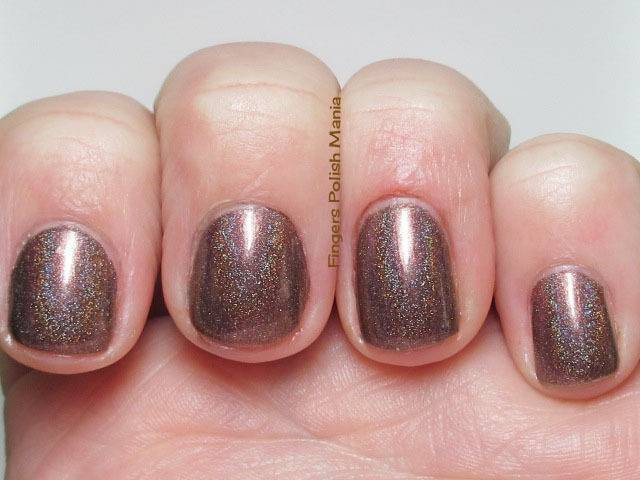 Now I did show you another brown holo that Elevation Polish made just for me. It is not the same brown. This one is a darker brown. Here are the starting shots. Gorgeous right? 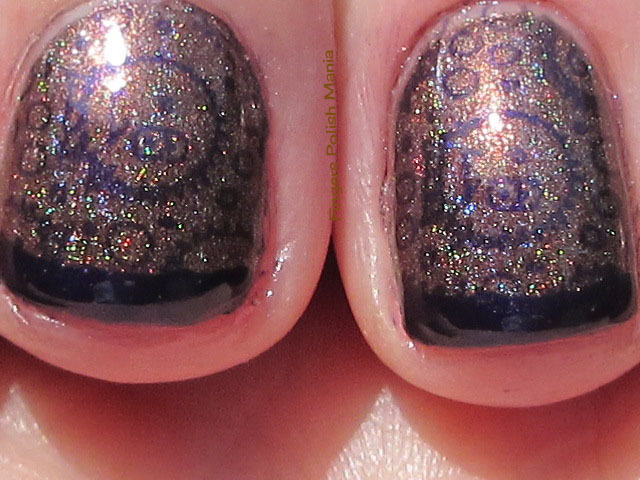 I'm telling you, Chelsea is a holo genius for sure. Next I simply stamped with Bete using Cheeky plate 38. I added my funky using the same Bete. Here are the results. Yes I know it is hard to see the design. It's the cutest blowfish with bubble eyes surrounded by more bubbles. It is so cute. I have to admit that this plate stamped very well. I'm not such a big fan of Cheeky. I won't go into details. 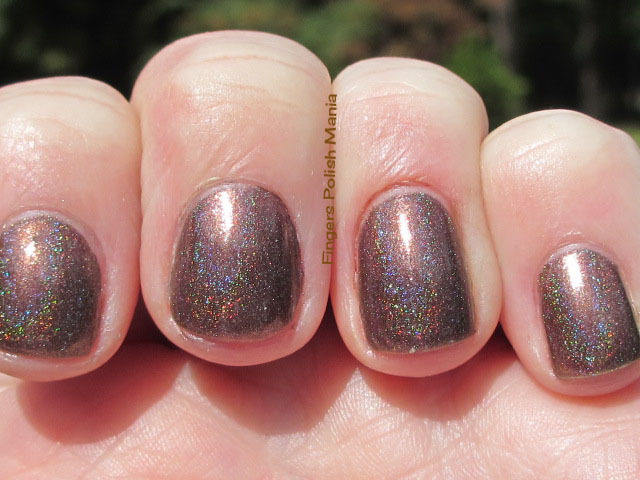 Is this not holo-licious? 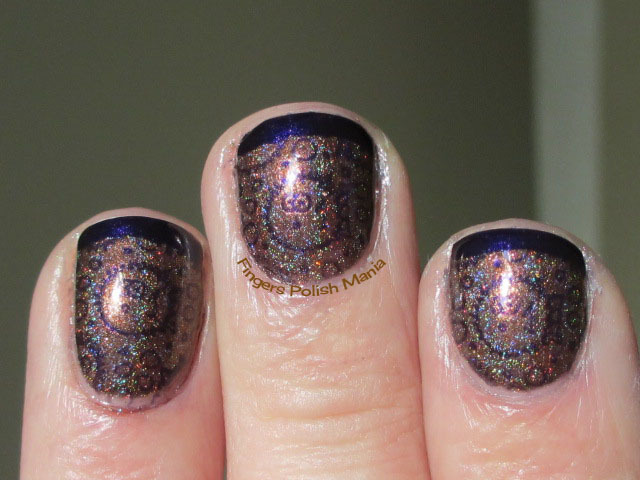 I am in love with this brown holo goodness! So anyone else out there who rebelled against Blogger and refused to upgrade until forced? Shall we revolt and all move to Wordpress? I jest-I don't want to lose my GFC widget! I have my limits people! Check out my Besties Giveaway! !